The Festival of Learning 2018 is a FREE interactive expo of adult education courses and workshops available in West Auckland. Over 40 organisations and groups who provide courses in gardening, languages, crafts, work place qualifications, apprenticeship opportunities, food making, compost making and even quilt making will be showcasing what they have to offer! There will be demonstrations, interactive activities, activities for the kids and adults alike, and performances throughout the day. Bring the kids, bring your mum, bring your Nan and discover the world of life long learning... you never know where it will take you! 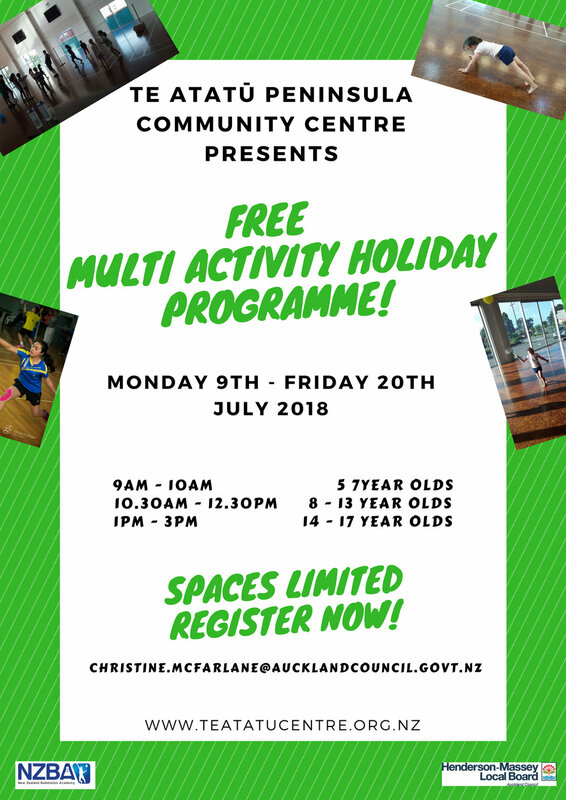 Plus, share the event page located at https://www.facebook.com/events/1729661900464209/ and join as going or interested and you will go in the draw to win a $100.00 WestCity voucher which will be drawn at 1pm at the event. Winners will be notified via this event page, the WEST Work Ready page and via private message. 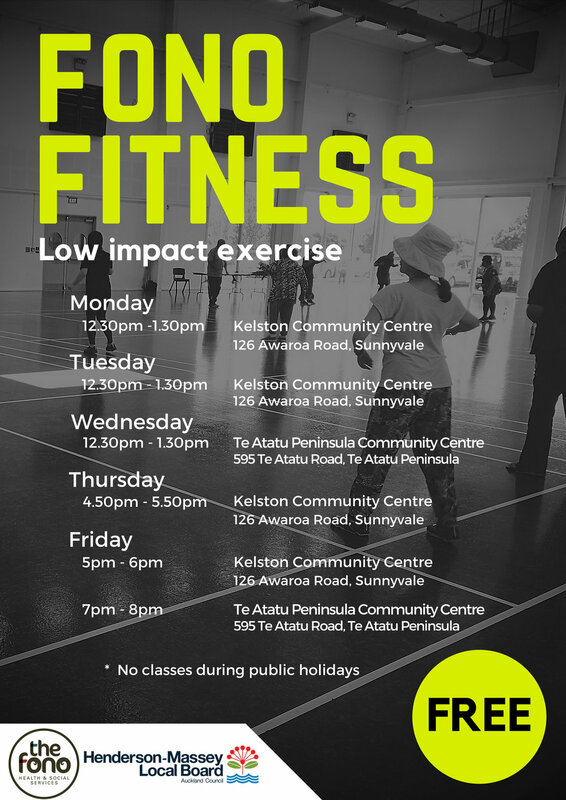 This is a partnership with The Fono Health & Social Services who deliver a low impact exercise class at no cost. If you enjoy dancing to music, feel free to come along. Make sure you bring a drink bottle to keep hydrated. No registration required. Invitation to come along have a cuppa and a chat and see how they can help you to set up a sustainable Neighbourhood Support group. Register now for this free July Arts and Craft school holiday programme. 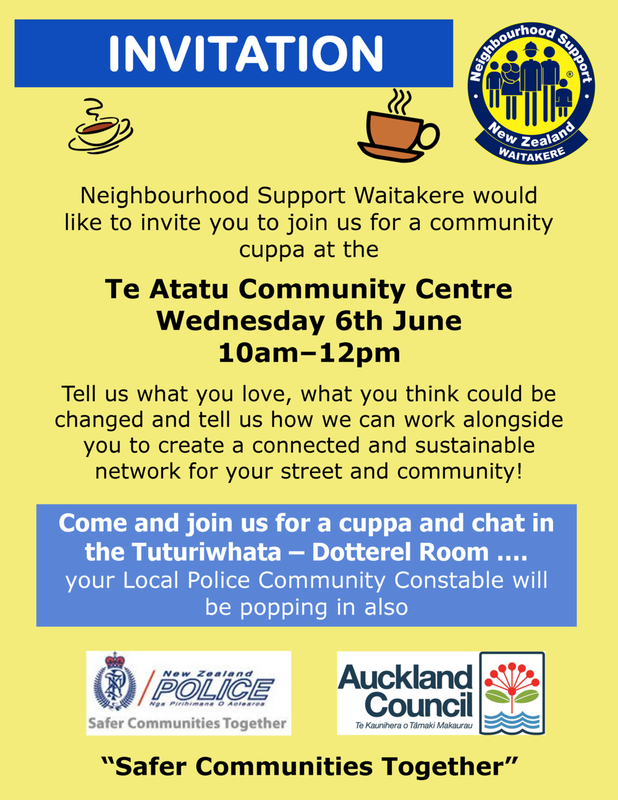 Neighbourhood Support Waitakere would like to invite you to join them for a community cuppa and a chat here at Te Atatu Peninsula Community Centre. Come along and support the year 10 Art Design Rutherford college student raise money for rescue animals. Crazy holiday activities at the Creative Lab! lots of fun activities happening during the holidays thanks to TAP:Lab! Get into basic electronics: make paper circuit cards, wearables (ANZAC poppies?) or learn a little more on how to get into basic robotics via Arduino boards. Learn to program our mBot robots or come in to work on (or build?) your own. 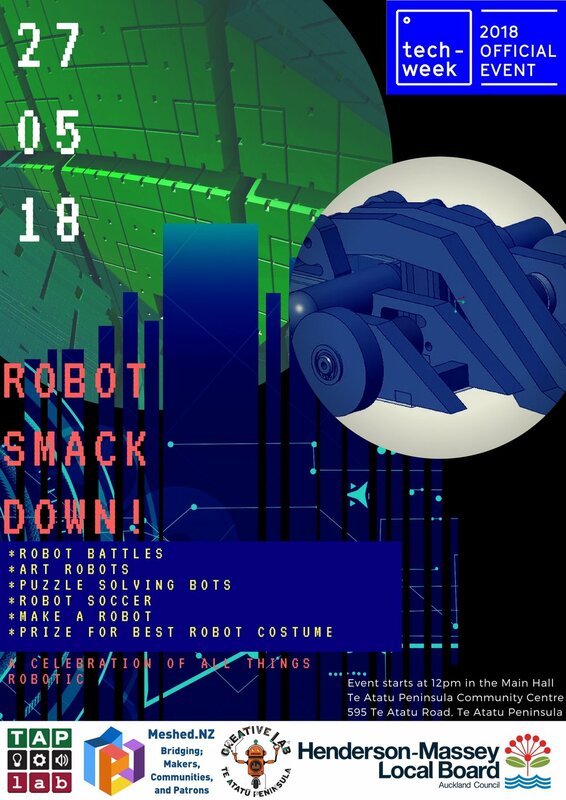 Warm-up session for the Combat Robotics NZ Antweight tournament on 22 April. A return to our regular, extremely popular, fun & games on Fridays! Come build on the shared world. If you have your own computer or account, please bring that along, as we have limited machines available for use. There will be a short break after the session before continuing afternoon session. This empowerment programme is for young women between the ages 14 - 18. Come check out this great workshop wish special guest Elza Kronberga! Music videos, choreography, dance, self-confidence, creative expression and more! Bring a piece of music that moves you and we will explore that!